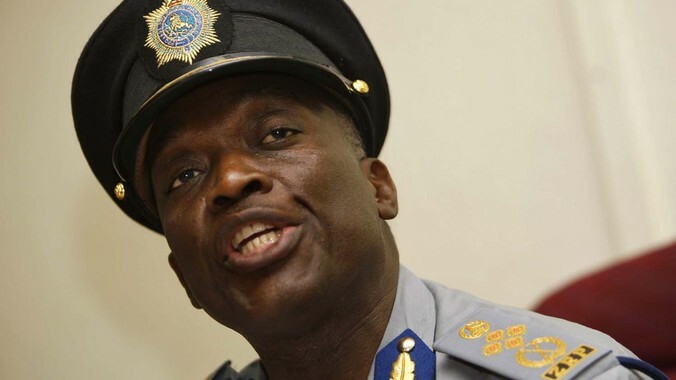 Police Commissioner-General Augustine Chihuri’s wife, Isabel, has been caught up in a row with a former tenant, who allegedly left Chihuri’s house she was renting in Greendale in a filthy condition. Esnath Zuze, through her lawyer, Beatrice Mtetwa, instructed by the Zimbabwe Lawyers for Human Rights (ZLHR), accused Chihuri of illegally detaining her for 24 hours under armed police guard, as she was ordered to clean the house she had been occupying since 2007. “I was engaged by ZLHR to help the woman, who had been detained on Monday morning at the alleged behest of Mrs Chihuri,” Mtetwa said. “I went to the scene and confirmed that indeed she was there under guard. Mtetwa said she then informed the police officers that she was going to lodge an urgent High Court application to have the woman released, as what was happening was tantamount to kidnapping. “They then called back, saying they would not want the case to go to court, hence, they were releasing her,” Mtetwa said. She said Zuze claimed she was forced to sleep at the house and only leave when she had cleaned up the place, although her relatives were allowed to bring her food and cleaning detergents. “Her relatives told us that they went to Harare Central Police Station to make a report of abduction, but the officers there refused to record the case, leaving them with no option, but to come to ZLHR,” Mtetwa said. However, police spokesperson, Senior Assistant Commissioner Charity Charamba said Zuze was never detained, but only told to clean up the house she had left dirty after being evicted for non-payment of rentals. “She is now trying to seek public sympathy by lying and soiling the image of the police commander. It is very wrong. She did not only leave the house without paying rentals, but she left it dirty,” Charamba said. “The walls were sprinkled with dirty stuff. She deliberately messed up the house and the wife of the police commissioner asked her to come and clean up her mess. Charamba continued: “Imagine, leaving the house filthy and you go without paying rentals and then going around trying to soil somebody’s image. It is very bad. Charamba said Zuze had been Chihuri’s tenant since 2007 and should have told her landlady that she was vacating the house instead of leaving it unsecured.